Farming is on the rise in Rhode Island. Since 2002, the state has seen a 42 percent increase in the number of farms. Today, 1,240 farms call Rhode Island home. The state is second in the nation for direct retail sales, which means selling to the public through farmers markets, farm stores, restaurants, and institutions. The Rhode Island Department of Environmental Management (DEM) is doing its part to keep farms in the state, too, working with local organizations such as the Young Farmer Network, Farm Fresh Rhode Island, and Market Mobile. In addition, Rhode Island’s Local Agriculture and Seafood Act (LASA) offers grants and programs that link existing farms with new farmers who can’t afford to buy it. 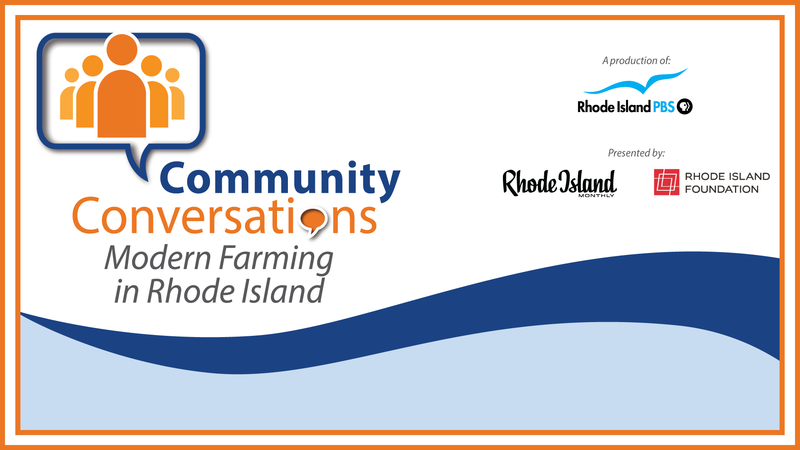 Rhode Island Monthly magazine and the Rhode Island Foundation present a panel discussion, Modern Farming in Rhode Island: A Community Conversation, produced by Rhode Island PBS. Taping of the discussion takes place on Thursday, November 29, 4:30-7 p.m. at Rhode Island PBS studios, 50 Park Lane, Providence, RI. The event is free, but studio seating is limited and reservations are required by Tuesday, November 27. Light refreshments will be served and there is free parking on-site. To thrive in the modern world, many local farmers are developing innovative marketing strategies through social media platforms like Facebook, Twitter, and Instagram. They are also taking advantage of mobile payments or apps that offer local pickup or delivery. However, there are still challenges involved with running a profitable farm and getting more people to purchase local products. Ayars estimates farms are producing only about 10 percent of the food consumed. Katie Steere, owner of Deep Roots farm, finds that selling directly to customers through an onsite farm store has been most successful for her and one of the best ways for small farms to survive. Others have found that offering Community Supported Agriculture, or CSA, is the most financially sound plan for them. In a CSA, consumers subscribe to a farm’s harvest by making a payment at the start of the planting season in exchange for a weekly or biweekly share of the farm’s yield. In spite of the progressive developments, there is still work to be done when it comes to preserving farmland that’s at risk to be lost to real estate development or making land accessible to new farmers. Rhode Island has the priciest farmland in the United States so, for many new farmers, it’s hard to find land they can purchase right away. Leasing farmland for a few years while they work towards fulfilling their dreams has been the only option for some who hope to one day purchase their own land with the help of USDA grants and loans geared towards helping new farmers. The common thread among Rhode Island farmers is a love for the land and a dedication to provide the most nourishing food to the community. They are committed to the lifestyle and sharing it with dreams of hosting farm dinners, classes, and events, or opening an on-site café. Rhode Island PBS will air Modern Farming in Rhode Island: A Community Conversation on Friday, December 21 at 8pm. The program will also be available on the station’s YouTube channel after the premiere.